Description: This small museum in Boulder, Utah has several artifacts from the Anasazi Indians. There are ruins of Anasazi dwellings behind the museum. There are also some life-size replicas of what the dwellings would have looked like when they were in use. Operating Seasons and Hours: Open every day except Thanksgiving, Christmas, and New Year. The museum is open from 8:00 am to 6:00 pm from March 1 to October 31. And from 9:00 am to 5:00 pm from November 1 to March 1. This was the second stop on the fourth day of the Southern Utah Road Trip that my husband and I went on in 2010. We drove from Escalante Petrified Forest State Park in Escalante to Boulder, Utah via Highway 12. I'll be honest, I don't remember much about Anasazi State Park Museum. It was the second of four stops that Brandon and I would make that day. Compared to everything else that we saw, it just didn't have anything that was super memorable. I didn't even take pictures inside the museum. Sorry, I'm just not that interested in Native American Pottery. I did take pictures of the structures behind the museum. As I said in my post about Cove Fort, I have no patience for history museums, but I love to visit historical sites. The area behind the museum is a place where I can tell history happened. There are ruins of dwellings that the Ancestral Puebloans (the politically correct term for Anasazi) built. The ruins are covered by a permanent canopy and surrounded by a railing. A sidewalk runs alongside the L shaped ruins. In addition to the ruins, the park has recreated the dwellings as they probably looked when they were in use. This replica really helped me get a feel for what life here would have been like. This village was inhabited from 1050 to 1200 AD. 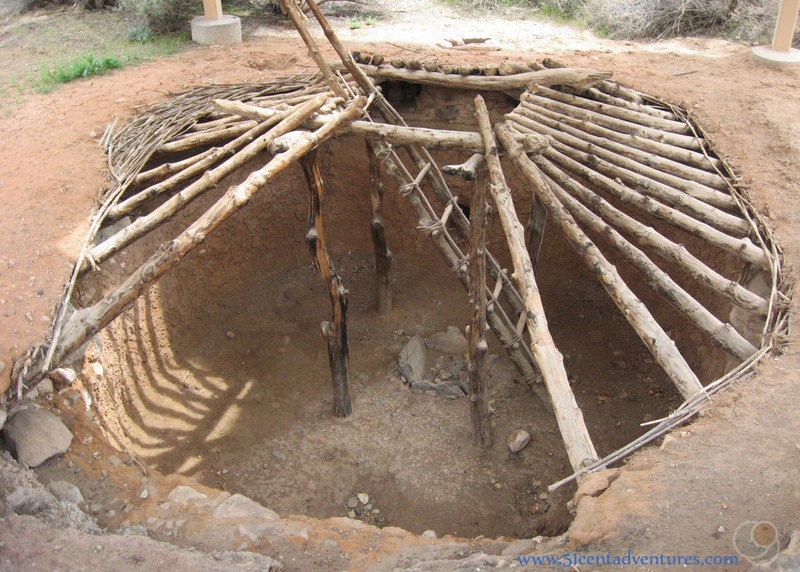 It was located near the boarder between the Anasazi and Fremont cultures and so there are Fremont influences found throughout the artifacts that have been excavated. 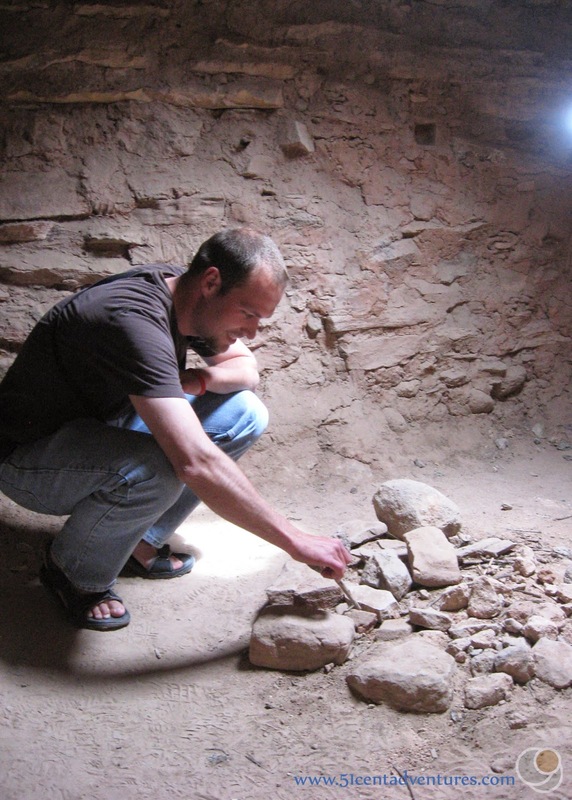 The ruins of the village suggest that it was one of the largest Anasazi communities west of the Colorado River. I think my favorite part about this state park was that we could go inside the replica. Being in there showed me how small each room really was. We were also able to see a partially restored pit house, but we weren't able to climb down into it. The few structures that exist on the site today are only a fraction of the size of the village that once thrived in this location. There are actually many structures that haven't even been excavated yet. Even though this state park wasn't that memorable it was still worth the hour or so we spent exploring it. 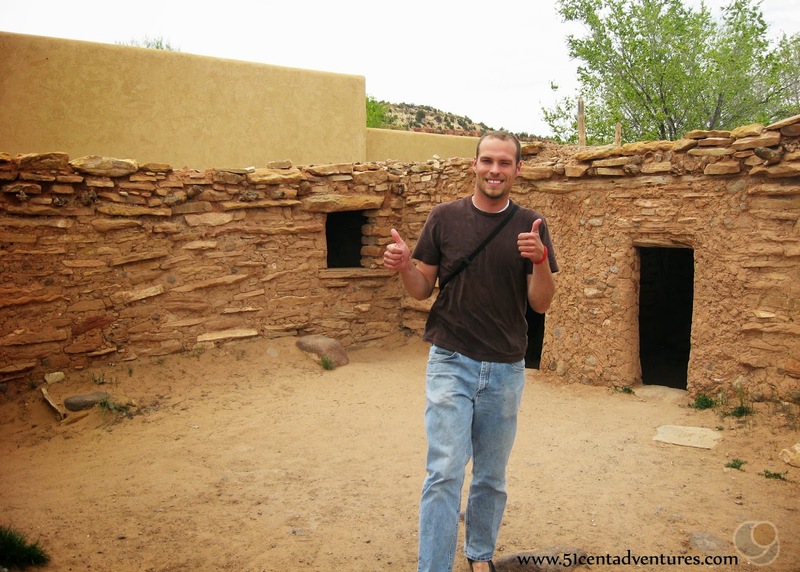 Recommendation: Anasazi State Park is a good place to stop and stretch your legs if you are passing through Boulder. Unless you are a fan of Native American artifacts this museum isn't really worth going out of your way to see. 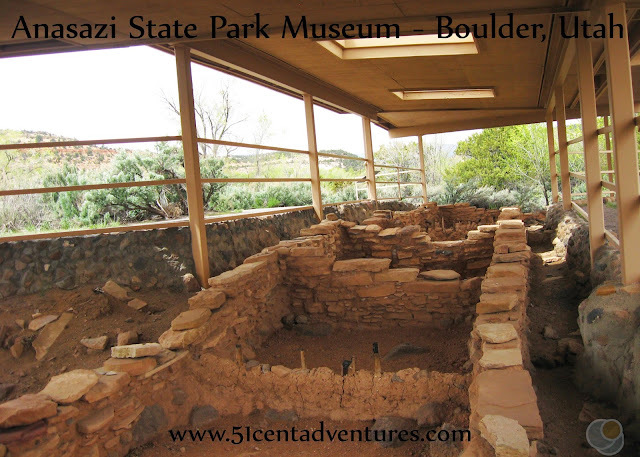 Directions: Anasazi State Park Museum is located along Utah's Highway 12 which is also Boulder's Main Street. The parking lot is surrounded by a fence and tall trees. The museum is next to the parking lot. You have to go through the museum to get to the replicas and the ruins. Additional Information: If you are interested in learning more about Anasazi Pottery you should visit this link, http://historytogo.utah.gov/utah_chapters/american_indians/anasazi.html. The Anasazi State Park Museum is a state park and museum in southern Utah. I have visited in Utah before us tours with my friends. You are right it is a small museum in Utah. I visited many places but never get a chance to go there. After reading your blog I feel it is the most historical museum in this state. This museum offers a lot of historical things for visitors. I hope it will be better for me.